Nokia 2 will be a lot smaller handset than the Nokia 9. 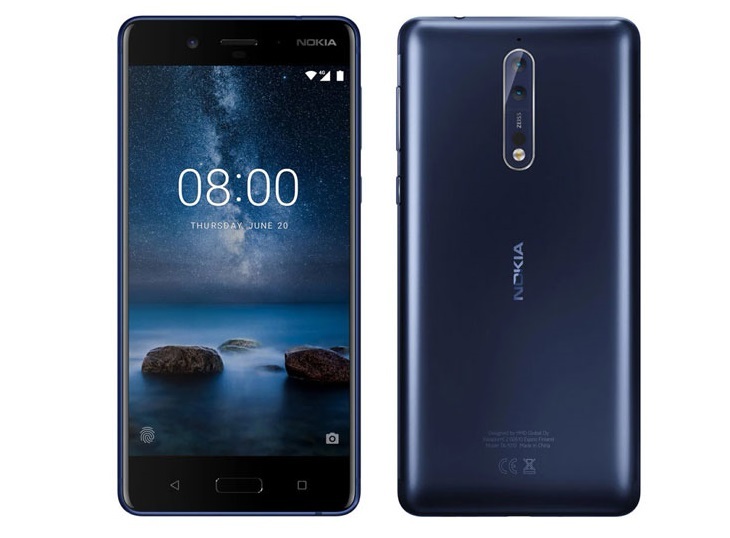 The Nokia 2 will come with a single camera on the back, and an LED flash will be placed below it while Nokia 9, on the other hand, will come with a dual camera setup, while an LED flash will be located next to those two sensors, and a fingerprint scanner will be placed below those cameras. Nokia 2 is rumored to be a 5-inch HD display and 1GB of RAM, with the Snapdragon 220 Soc and an 8-megapixel shooter is expected to feature on the back of the phone, while a 5-megapixel snapper will be placed on its front side. Taking a guess here, the Nokia 9, is expected to arrive with the Snapdragon 835 64-bit octa-core SoC, and 6GB of RAM. The Nokia’s brand will be located at the back of both smartphones or at the upper right corner of the phone’s front side. Rumour also has it that the new Nokia 2 has a cut-out at the bottom which could be the speaker. The volume up, volume down and power / lock buttons are located on the right-hand side of both of these handsets. While Nokia 2 seems to be a flat back, Nokia 9 will come with a curved back. Both SIM card trays are located at the left side of the devices. There seem to be no physical home button.